Beth Howland, who made high anxiety an art form as the ditsy, accident-prone waitress Vera Louise Gorman on the 1970s and ’80s sitcom “Alice,” died on Dec. 31, 2015, in Santa Monica, Calif., her husband said on Tuesday. He had refrained from announcing her death earlier in keeping with her wishes. She was 74. The cause was lung cancer, her husband, the actor Charles Kimbrough, [who played the anchorman Jim Dial on the television series “Murphy Brown,”] said, adding that she had not wanted a funeral or a memorial service. 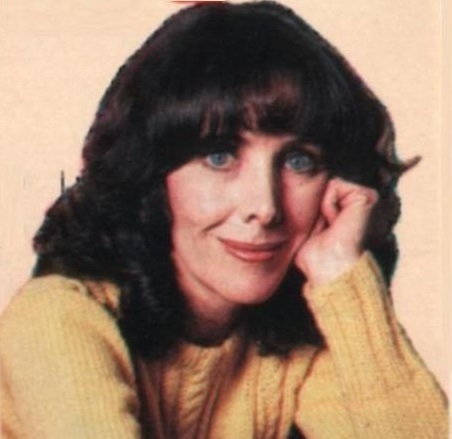 1] Vera Louise Gorman is one of the Essentials of the Tele-Folks Directory, one of my go-to characters to use as an example of a fictional character being related to a person from the Real World. In Vera's case, she was a cousin to Art Carney and tried to get him to be the celebrity endorser for Mel's chili which they would have called Chili Con Carney. 2] Ms. Howland played two roles on 'The Mary Tyler Moore Show', separated by three seasons. "HAVE I FOUND A GUY FOR YOU"
She played a friend of Mary Richards: Linda Foster, the wife of Jack Foster. But when the Fosters split up, Mary was torn about the idea of dating Jack since she had also been friends with Linda. Mary had been dating a guy named Joe Warner and went over to his apartment to talk to him about their relationship. She picked the wrong time, as he had just spent the afternoon making love to a woman named Joan, played by Ms. Howland. I'm not going to conflate them into the same person. However I do believe that Linda and Joan were sisters. And they don't even have to be twin sisters, just that they looked very much alike. "Foster" was Linda's married name and we never learned Joan's last name, so that doesn't hinder this theory of relateeveety.